The fiduciary duties imposed on a member or manager of a New Jersey LLC are at present elusively and poorly defined in the statute. While the current act contains several provisions limiting the personal liability of members, nowhere does it clearly define the duties that are inherent in the relationship of the members. Attempts to impose the fiduciary obligations that have traditionally been thought to be a fundamental aspect of the relationship of partners in a partnership, or the officers and directors in a corporation, have met with uneven results. As we noted in our recent blog post (Fiduciary Duties Murky Under Delaware Law), reviewing a decision from the Delaware Supreme Court, the issue is still undecided in the most influential jurisdiction in the country on issues of business governance, and there is little guidance in the form of controlling authority in New Jersey. That uncertainty should change significantly when the revisions to New Jersey’s limited liability company law take effect in March 2013 for newly formed companies, and in March 2014 for existing LLCs. In adopting the RULLC, the legislature put in place a new set of standards for the conduct of members and managers of LLCs organized under New Jersey law. While some of the changes reflect much of the judge-made law applying equitable principles to the conduct of small business owners, there are some significant differences in the way those duties will now work, and anyone involved with a New Jersey limited liability company needs to have a firm grasp of the structure. 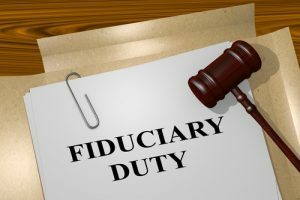 This definition of fiduciary duties is significant because courts are often hesitant to create new rules of law by analogizing to the law of corporations or partnerships. A particularly contentious issue in New Jersey, for example, was whether a minority member of an LLC who was treated unfairly could bring an action for oppression and obtain the remedies available under corporate law. These efforts have uniformly had anything but uniform results — in New Jersey and other states with similar limited liability company statutes. The RULLC is more comprehensive that the present New Jersey Liability Company Act. Under the current act, there is no explicit definition of the duties. The current law simply provides that to the extent that “at law or in equity” a member or manager has any duties, including fiduciary duties, those duties can be varied by the operating agreement and that the member or manager can rely on the operating agreement (N.J.S.A. 42:2B-66). 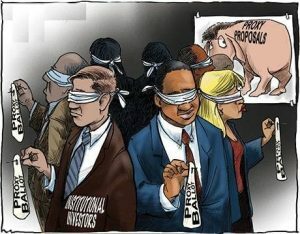 The current act also provides that where the statute is silent, the “rules of law and equity” govern (N.J.S.A. 42:2B-67) Many commentators see this as the express understanding that fiduciary duties are created by the equitable principles that are widely accepted as governing the relationships between members of business enterprises. Others think not. In any event, when the RULLC takes effect in March 2014 for newly formed companies, and in March 2015 for existing companies, the statute lists specific duties owed by the members or managers then provides the opportunity to limit or eliminate most of those duties through the contractual terms of the operating agreement. It’s complicated, however. Under the new statute, N.J.S.A. 42:2C-39, LLC members owe to the company and to each other the fiduciary duties of loyalty and care. To refrain from competing with the company. The revised statute also codifies the obligation of good faith and fair dealing in performing the obligations of the operating agreement and provides that there is no violation of a duty merely because the member’s conduct furthers their own interest. The RULLC also provides that the members may by unanimous action ratify conduct that would otherwise be a breach of the duty of loyalty. It also creates a defense in the event that the member acted on behalf of someone with a conflict that the transaction was fair to the LLC. All of that assumes that the Members manage the LLC. If the company is a manager-managed LLC (the members elect or agree to managers to run the business), then only the managers and not the Members .owe the company the fiduciary duties of loyalty and care. The duties of the non-managing members are limited to the contractual obligation of good faith and fair dealing. While the revised statute contains a list of fairly detailed duties, it also expressly states that a member does not have duties to the company or to any other members solely by virtue of the fact that they are members. To many currently involved with a New Jersey limited liability company, that would likely come as a surprise. It is generally presumed that the people who own a closely-held business have a special relationship with each other and that fiduciary duties apply. Consider the case of the small business with principals that don’t work in the business. It would come as a surprise that they are free to compete or misappropriate opportunities from the business. A few additional comments are worth noting. Although the RULLC borrowed heavily from the Revised Uniform Partnership Act (RUPA), the question of fiduciary duties is one where the Uniform Law Commission, which drafts model acts for the states to consider adopting, took a different approach. The standards of conduct provided in the RULLC are considered a floor not a ceiling. The RUPA, from which the New Jersey legislature adopted its definition of partners’ fiduciary duty, uses what the Law Commission describes as the “cabining” approach: the duties defined in the statute are the only duties owed by the partners unless they agree otherwise in a partnership agreement. N.J.S.A. reads that the “only” fiduciary duties defined a partner owes to the partnership are the duties of loyalty and care defined in the statutes as they may be “clarified or limited” (but not eliminated) in the partnership agreement. The Uniform Law Commissioners, however, eschewed the attempt to corral fiduciary duties to those listed in the statute, noting that “ït is impracticable to cabin in all LLC-related fiduciary duties within a statutory formulation.” Judges will still be free to find, and of course the parties may contract for, other fiduciary duties that are not in the statute. A likely example might be the duty to secure the best possible price in a sale of the company or its assets. The trade off, it seems, is that although the duties of a limited liability may be broader than those of a partnership, the LLCs members have much greater leeway to limit or eliminate those fiduciary duties in the operating agreement. I will take a look at the ways in which the duties of LLC members or managers may be limited in our next blog post. In any case not provided for in this act, the rules of law and equity, including the law merchant, shall govern. a. A member of a member-managed limited liability company owes to the company and, subject to subsection b. of section 67 of this act, the other members, the duties of loyalty and care stated in subsections b. and c. of this section. (3) to refrain from competing with the company in the conduct of the company’s activities before the dissolution of the company. c. The duty of care of a member of a member-managed limited liability company in the conduct and winding up of the company’s activities is to refrain from engaging in grossly negligent or reckless conduct, intentional misconduct, or a knowing violation of law. d. A member shall discharge the duties under this act or under the operating agreement and exercise any rights consistently with the contractual obligation of good faith and fair dealing. e. A member does not violate a duty or obligation under this act or under the operating agreement merely because the member’s conduct furthers the member’s own interest. f. All of the members of a member-managed limited liability company or a manager-managed limited liability company may authorize or ratify, after full disclosure of all material facts, a specific act or transaction that otherwise would violate the duty of loyalty. g. It is a defense to a claim under paragraph (2) of subsection b. of this section and any comparable claim in equity or at common law that the transaction was fair to the limited liability company. h. If, as permitted by subsection f. of this section or the operating agreement, a member enters into a transaction with the company that would otherwise be prohibited by paragraph (2) of subsection b. of this section, the member’s rights and obligations are the same as those of a person not a member. (1) Subsections a., b., c. and g. of this section apply to the manager or managers and not the members, and the duty stated under paragraph (3) of subsection b. of this section continues until winding up is completed. (2) Subsections d. and e. of this section apply to the managers as well as the members and, subject to subsection d. of this section, a member does not have any duty to the company or any other member solely by reason of being a member. (3) The power to ratify stated in subsection f. of this section pertains only to the members.